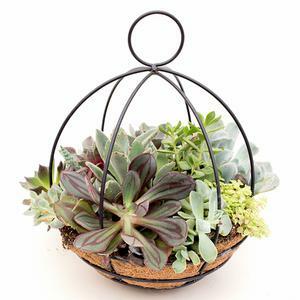 Succulents are so popular right now for any age group. Whether for home décor, the office or even in your dorm room or apartment, succulents are easy to grow and fun to have around. Garden Crossings has just released a large selection of succulent planters with a wide assortment of colors and textures. There has been alot of talk over the past few years about the decline of habitat for the Monarch Butterfly thus resulting in fewer and fewer Monarch butterflies. 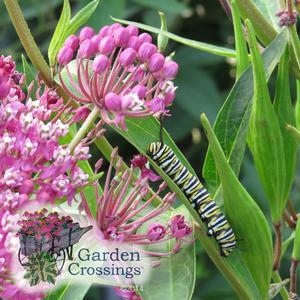 As a gardener myself, and if you are reading this you probably are also, let's do our part by creating our own Monarch habitat in our garden spaces. 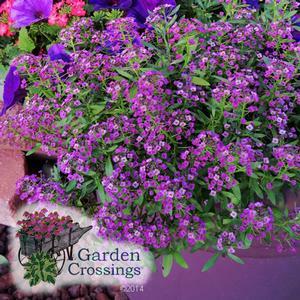 An amazing plant that performs all summer long, Lobularia 'Dark Knight' is a standout new annual for 2015! In several applications such as in garden beds and combination designs, 'Dark Knight' added that superb splash of light I was hoping for. 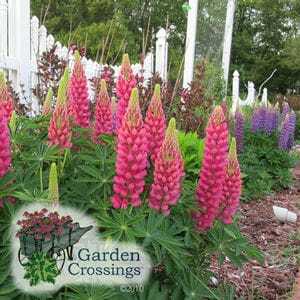 On days when I am working in the retail garden center at Garden Crossings, I will often get asked "What is your favorite perennial?". To that my response is "Every week something different is flowering so it is hard to choose a favorite.' But with that being said I do have one that reminds me of hope for each new season.